The Architect’s Newspaper (AN) has partnered with urbanNext—a multidisciplinary platform for design promoted by Actar Publishers—to share articles on common topics every two weeks. 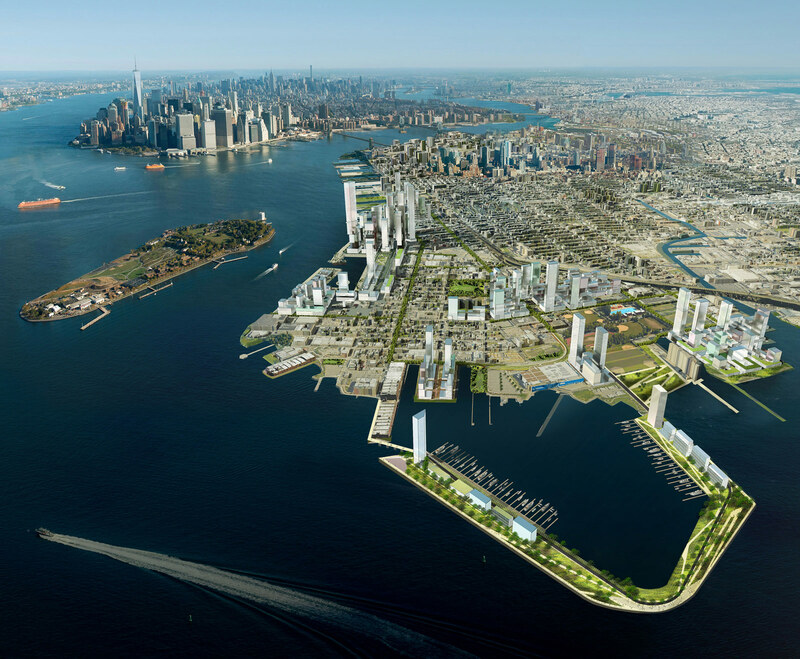 This week, we’re pairing the urbanNext article below with AN’s “How is the New Jersey Meadowlands planning for climate change?” The article below was authored by Shannon Bassett, an architectural and urban designer. The (Re) Stitch Tampa project was initially conceptualized during 2010 around the advent of the announcement of what was to be the first high-speed rail line in the U.S. The Obama Administration had just announced as part of its “New” New Deal program that the region was to receive $1.2 billion in federal monies earmarked for the construction of a high-speed rail line along the Tampa-Orlando corridor. The program was reminiscent of Franklin D. Roosevelt’s WPA program, during the great Depression, where the federal government funded large-scale public infrastructural projects with the intent of jump-starting the economy. In Florida, such projects included the Rural Electrification Program of rural farms, running wire to over 54,000 farms, and the development of much of the Florida State Park System. Plan Tampa, a post-war coastal American city, was reeling from the worst recession since the great Depression. Arguably, it was also located in one of the regions the greatest impacted in the country by the 2008 economic bust and mortgage crisis. The region had developed around car privileging infrastructures and an economy predicated principally on real estate and its speculative practices. The real-estate bubble had burst hard here, where real-estate speculation and flipping were part of the main sources of the economy. It was not uncommon, beginning in 2007 and continuing onwards, to see hand-crafted signs dotting the on and off ramps of Tampa’s highway infrastructures and byways of the city advertising short-sale, foreclosed houses, or offering flat-out cash for houses. “We buy up houses-$50,000.00 each and 3 for…”  By 2011, however, this “New” New Deal in the form of high-speed rail infrastructure had been squashed, and the $1.2 billion of federal monies returned to the federal government. The stymying of the project had been largely due to the prevailing anti-smart and, arguably, anti-urban politics which did not support the funding of public transportation. This was even despite the efforts of mayors in the six cities who would be positively impacted by the high-speed rail system, who self-organized at a local-regional level to accept the federal monies, although in the end they were not able to do so. The aggregated land for the high-speed rail station in Tampa was also left vacant, left to return back to nature. Therein existed other such aggregated plots of land or “land-banking” which had occurred at the height of the real-estate boom, such as on the north end of the Riverwalk, the northern anchor of the competition project site, where the developer had acquired and aggregated land and had then, subsequently, gone bankrupt. The Trolley Barn-Armature Works lay in decay, as a relic of the post-industrial landscape, and the former affluent trolley-car suburb and trolley system which was one of the most successful in the U.S. before it was ripped-up and replaced by the roads of the predominant automobile culture. This aggregated lot lay in urban decay; the ecology and the biodiversity returning back to it and recovering the site’s natural landscape. This urban aggregate added to the 50% of surface parking, as well as to the additional vacancies in the downtown core. The focus of the competition brief shifted, at this moment, to a critical re-thinking of the ebbs and flows of circulation and movement throughout the city, and how these might contribute to a more sustainable development and ecological practices. The competition brief posed the question, how might the re-calibrating of infrastructure serve as an opportunity to re-choreograph the flows and the movements of people and habitat to and from its natural lifeline running through the city, and how might it bring the River into the city? Paradoxically, the recession and the mortgage crisis with its foreclosures, vacancies, and halted development, had actually provided an opportunity to take stock, as well as to critically reassess a legacy during the 20th century of largely unsustainable building and development practices and seemingly unlimited growth, much of which was eating up valuable wetlands and ecologically sensitive lands. Unsustainable land development practices had been catalyzed by the rationalization of the pumping system. 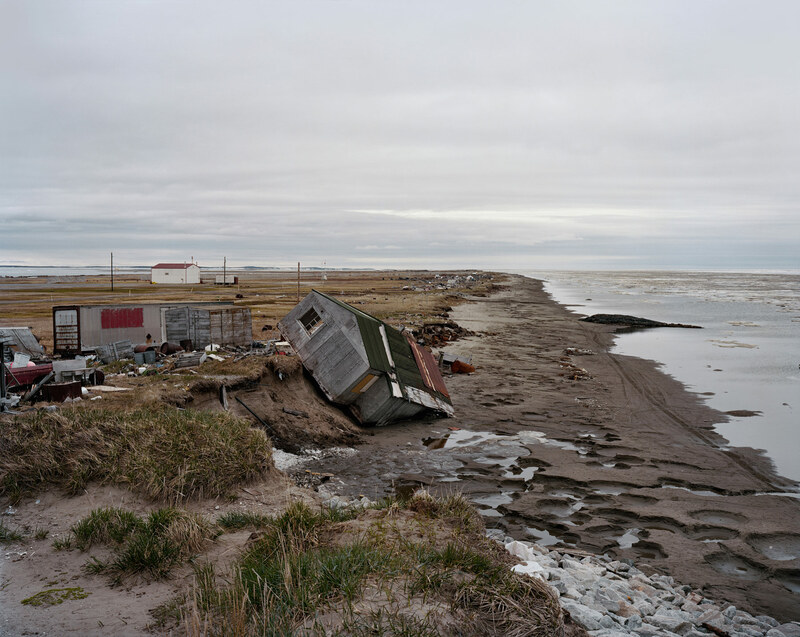 Dredging, as well as the canalization of swamplands pushed by real-estate speculation and tourism, had largely trashed the natural environment and its ecologies. Further, the invention of air conditioning had perpetuated the development of housing typologies divorced from their natural systems and local ecologies, dissimilar to Florida’s earlier vernacular housing typologies, such as the Florida Dogtrot. The Dogtrot’s design was more integrated with passive design strategies, such as breezeways as well as the natural Florida landscape. The competition also prompted a re-thinking of the current oppositional relationship of the city to its water, as well as the potential to re-stitch, re-cover and re-claim the landscape of the Post-War Coastal American City through Ecologies. Tampa—the Beginnings of the Post-War Coastal American City Unlike their counterparts to the North, the Sunbelt coastal cities of the south, including Tampa, did not experience the same overarching opposition to the top-down urban renewal planning practices of the 1950s, largely inspired by the Modernist City. During the 1960s, freeway revolts occurred in many American cities, opposing the byproducts of the 1958 Federal Highway Act, which included cutting highway infrastructure through swathes of the city in order to expedite commuters out to the suburbs. The post-war suburbs had been federally subsidized in the form of inexpensive mortgages to returning war vets from World War Two. Jane Jacobs, author of the seminal text, The Death and Life of Great American Cities, successfully organized her community to oppose and subsequently defeat Robert Moses’ attempt to bulldoze part of the West Village in New York City with a cross-town expressway infrastructure. Further, grassroots community opposition to urban renewal projects and the bulldozing of Boston’s historic West End and Scollay Square, as well as New York City’s Penn Station, lay the groundwork for the bottom-up preservation movement of cities and their historic fabric beginning in the 1950s. It also ushered in the establishment of the National Park Service in the U.S. Tampa’s period of urban renewal happened later, in the 1960s and 70s. Unlike their northern counterparts, many of the community leaders in the districts designated for urban renewal actually embraced it, as opposed to attempting to fight it, such as in Tampa’s Ybor City. As Tampa historian Emanuel Leto writes, “these projects were also motivated, in part, by racial divisions within urban communities, and the desire for segregation in districts and enclaves of the city.” The erasure of one such community known as “the Scrub,” was one of the three major urban renewal projects carried out by Tampa in the 1960s as part of the Federal Urban Renewal program. Its name came from its natural landscape, referring to the territory outside of the protected Fort Brooke boundary which was settled by white settlers, and referred to the small brush-like vegetation of scrub and Florida brush. The area was settled by freed African-American slaves and the neighborhood had a vibrant music scene, including Ray Charles and Ella Fitzgerald. The inhabitants were relocated to public housing and the city became largely zoned as single use as part of the CBD (Central Business District), with highway infrastructure cutting through the urban fabric, carrying people out to the suburbs in the wetlands and the reclaimed swamplands, which lay beyond a middle landscape of trolley suburbs, largely vacated. Tampa as the Ecological City Prior to the period of urban renewal which radically transformed the urban space and fabric of Tampa, the settlement of the area had a much more intrinsic relationship to the landscape and its natural ecologies, living more symbiotically with the Tampa Bay natural estuary. Historical natural atlases and guides of Tampa from the turn of the 20th century boasted in their descriptions of Tampa’s natural landscape, as well as its estuary. “People came from miles around to eat the fish and oysters out of the Tampa Bay.” Such sites as Sulphur Springs, located further north up the Hillsborough River were, in fact, natural springs where people came from afar for their natural healing powers. Other sites of intrigue included an alligator farm adjacent to the natural spring. The site became contaminated and trashed in the middle part of the 20th century, however, although ecological remediation and recovery is currently being undertaken in the area by the City. Competition Brief The competition brief is premised on a critique of the failings of the post-war American City, the prevailing traces and conditions of which can be seen in Tampa. 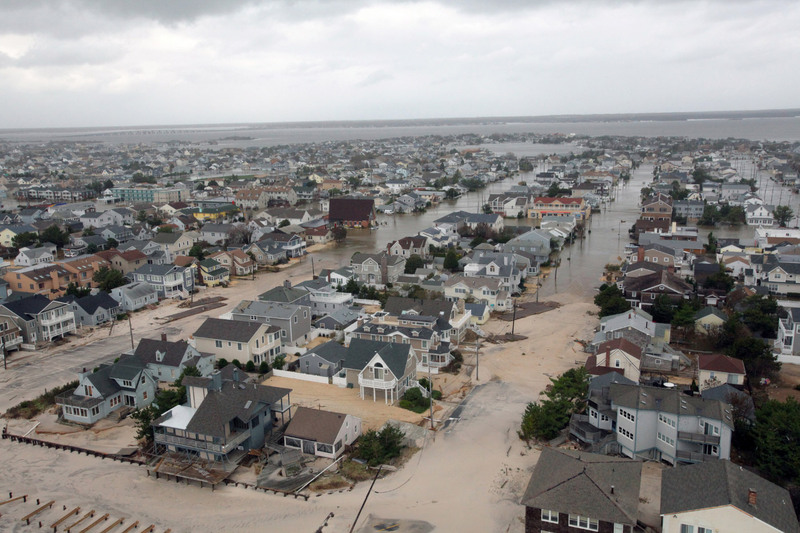 The brief also calls for resilient design strategies, which address its coastal location, as well as the re-articulation of its land-water edge between the city and the water. It proposes possible design strategies, which might begin to de-construct, de-engineer, as well as to de-laminate the previous infrastructures that are part of the legacy of these predominantly short-sited planning strategies. The competition framed a re-thinking and re-programming, as well as the re-articulation and re-consideration of the possible occupation of infrastructures operating at a large-scale. (Re)stitch Tampa serves as a research platform. The publication serves as a useful toolkit and handbook for disseminating design strategies which both design for resiliency, as well as addressing the conditions which are resultant from the failings of the policies around the post-war American city, and their unintended consequences. Designers are trained to be strategic, innovative and tactical in design, as well as having the ability to synthesize multi-scalar systems, and to conceptualize multiple scenarios for different conditions. The brief also encouraged designers to work across a spectrum of design scales, while addressing issues of recovering a landscape. Arguably, the state of Florida and its coastal cities will be some of those the worst impacted in the U.S. by sea level rise and climate change. Whereas human settlement and inhabitation in these locations initially co-existed in a much more symbiotic relationship with their natural landscapes and ecologies, the natural geography of this territory writ-large has been significantly impacted and altered by a manufactured landscape. Design strategies can also build on new modes of design representation, employing mapping as a process of design research. The competition brief challenged designers to develop schemes addressing the perceived failings of the post-war American city, offering solutions for the vacancies from previous failed urban renewal programs, and the ensuing urban decay and flight from the city. Perhaps, most importantly, it is the ability of design to act in a milieu not possessing the political will or agency to address the pressing issues of sea-level rise and climate change in coastal cities. The schemes should offer design strategies, which lie in more symbiotic relationships between city and nature, including the Hillsborough River and the Tampa Bay and its estuary. It should be noted, however, that recent trends currently show, in fact, the population to be actually increasing as migration flows of the Baby Boomer retirement generation move to Sunbelt coastal cities seeking warmer climates and cheaper housing prices than those available in the North. The Competition The competition had both national, as well as international participation, bringing forth the best practices for designing for resiliency in coastal cities from all over the world. The invited jurors, prominent theorists as well as practitioners in urban design and landscape urbanism—Margaret Crawford, Juhani Pallasmaa, Chad Oppenheim, Chris Reed and Charles Waldheim—discussed the opportunities for the envisioning, as well as the re-thinking of these urban landscapes. Juror Charles Waldheim lectured broadly about the agency that the Design Ideas Competition possesses, and the pivotal role that it continues to play in redefining urban design and theory, citing such seminal examples as the competition for the Parc de la Villette in Paris’s nineteenth arrondissement, a former slaughterhouse. Both Bernard Tschumi’s project, as well as the OMA scheme for Parc de la Villette, reconsidered the re-programming of the urban condition through the programming of the landscape of a thickened surface, as well as the juxtaposition of programmatic bands with indeterminate and flexible programs. As Waldheim discussed, more recent design competitions, such as that of the Downsview Park competition, an international competition for an urban park design for a former military base in Toronto, Canada, have focused on the integration of ecologies and habitat into design schemes. So did the naturalization of the Mouth of the Don competition, also located in Toronto. Here, the previous infrastructure of the Don River was softened and re-naturalized at its mouth where it empties out into Lake Ontario, thus creating an urban estuary, as well as catalyzing a re-thinking of the co-existing natural habitat with landscape systems. The Competition Schemes Many of the competition schemes featured here investigate resiliency as a design strategy. The winning schemes distinguished themselves by addressing the issues of the competition framework, including landscape recovery, in addition to the contemporary urban issues in the post-war Coastal American city such as designing with vacancies. This also included the de-engineering of infrastructures from the failed paradigms of post-war city planning policies, at the same time as layering resiliencies and ecologies into strategic planning and frameworks. The competition entries, which are featured here, are analyzed and considered for their contribution to new and more flexible frameworks of urban design and planning design for the Post-War Coastal American city through Ecologies. The winning schemes for (Re)stitch Tampa distinguish themselves by challenging existing planning norms through ecological urbanism. Schemes also examine alternative methods of representation and process in urban design. 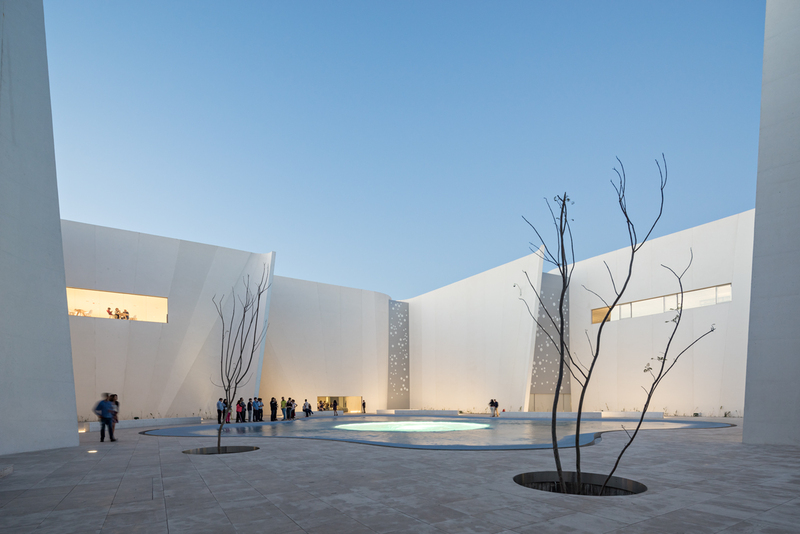 The featured schemes address the city through the three mutually reinforcing lenses, which framed the competition, those of ecology, infrastructure and connectivity. Landscape infrastructure becomes the underlying structure and connective tissue of the urban system. The schemes also critique the single-use zoning, of the modernist, post-war city. Winning Schemes 1. Flowscape—A Vision for a New Urban Estuary proposes the de-engineering and re-programming of the previous regimes of historic infrastructures, resulting from poor-sighted urban policy decisions. Its underlying concepts propose the re-calibration of the historically oppositional relationships between land and water, in addition to critiquing the previous regimes of decades-old infrastructural projects and their resulting fragmentation of cities. It also proposes the reclaiming, as well as the re-assigning of new and layered programs between the interface of the city and the water. The scheme introduces an urban bayou along the underside of the Crosstown Expressway along its right of way. It affords a large-scale re-stitch in a swapping out of parking on the land for an ecological system. Thus, the bayou is connected to the Tampa Bay natural estuary, the city, and the Shipping Channel. Here, design strategies engage ecological processes in their frameworks. 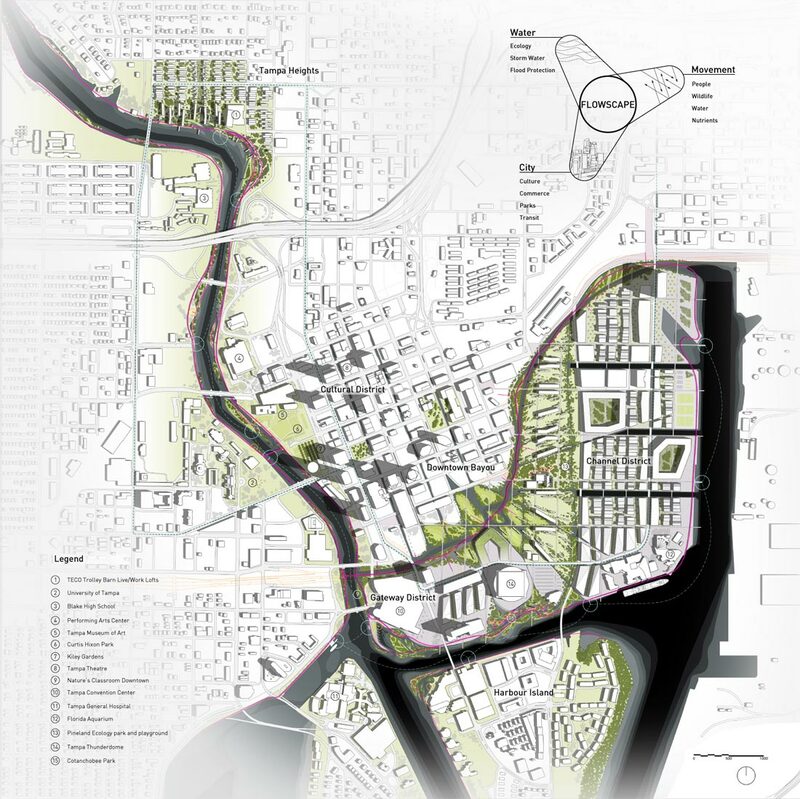 This scheme creates urban marshlands that integrate liquid programs into the city, as well as integrating both urban, and ecological relationships within the city. This scheme re-organizes and aggregates the surface, re-stitching the forgotten layers of the city, creating a layering of programs, as well as new flows and movements. Soft-infrastructure can accommodate flooding. 2. Stitches and Fabrics, another winning scheme featured here, offers a proposal for not only a singular scheme, yet for a number of possible different scenarios, which are flexible, operating within the framework of the post-war coastal American city. Schemes plan for a shifting landscape, through both flexible, as well as indeterminate programs, where design has the agency to address uncertainties. The proposal identifies points for individual stitching to occur. These stitches, when aggregated or combined, have the agency to become activated as part of a larger, scalar proposal. In their overall totality, they have the agency to activate new programs within the city. Strategies include those of infill, as well as the introduction of tidal zones and aquatic typologies within the city grid. 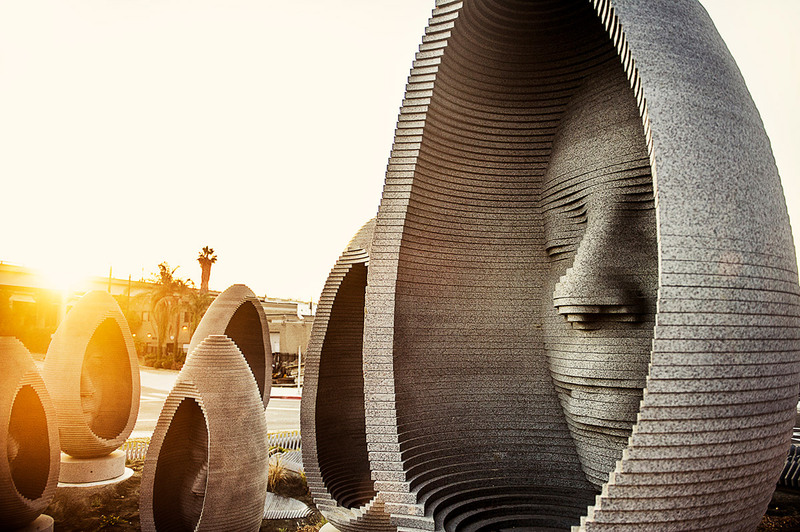 The scheme reclaims infrastructure for other uses, introducing layered programs within these substrates. 3. (re) stitch Resilience is an elegant design strategy which pays homage to the intrinsic relationship and symbiotic siting of the initial human settlement in the region with respect to its fragile eco-systems and their natural resources. The design’s overarching intent is to make the city more resilient to sea level rise, in addition to creating a public water space in the River which registers the changing water levels. An archipelago design strategy addresses the current vacancies in the urban fabric, which are aggregated through the recovering and reclaiming of the landscape. A floating public square acts both as a public space and as a scaffolding for layered programs and ecological services. It also acts as storage for storm water and purification systems. PARK in lots re-introduce layered programs, which engage both the water, as well as the integration of urban and ecological systems and the transformation of infrastructures. It creates different matrices of green infrastructure, in addition to re-naturalizing the post-war coastal city. Conclusions (Re) Stitch Tampa, as a research platform, fundamentally questions the prevailing frameworks and methods of traditional urban design practices. It also challenges traditional city planning strategies, which design cities through a weightier approach of buildings, which also employ single-use zoning. The schemes featured here and resulting from the competition, reintroduce the River as the new spine and lifeline of the city while creating new and layered programs along it. This resonates with design strategies of flexibility and open-endedness for programming. It also integrates performative design aspects through a re-working of the river’s infrastructure. It begins with a new spine for the city, as well as the re-introduction of new ecologies which reconnect the city to the water. The projects emerging from the (Re) Stitch Tampa project have the potential to have a life beyond the competition itself. They offer a tool-kit of possible design strategies for architects, planners, and city planning agencies, as well as the constituents, stakeholders, and developers vis-à-vis public place-making in the post-war coastal American city. This publication should be used as both a toolkit, as well as a handbook which affords an alternative insight for both designing, as well as recovering cities and their landscapes. These include tactical strategies, designing for resiliency, flexibilities, which engage multiple readings and possibilities. As initiated by the competition brief, connective urban landscapes and ecological infrastructure have the agency to function as the underlying framework. The featured schemes here robustly address the competition charge, designing frameworks with ecologies, as opposed to a singular proposal. Within this framework, these strategies can act as catalysts for the economic redevelopment of the city, in addition to calibrating the reconnection of the city to its nature, while ameliorating its current fragmentation. Other notable coastal cities in Florida, such as Port Charlotte, south of Tampa, have adopted more progressive design strategies for their land-water edges, which might also serve as useful precedents. After Hurricane Charley in 2004 severely impacted Port Charlotte, the city engaged a strategy of acquiring land through rolling coastal easements, land banking and compensating those property owners with the properties impacted. The vacated land became part of a public trust for the city of parklands and areas for coastal replenishment and building for resiliency. As a strategy, the design is more flexible and that allows the city to replenish their valuable wetlands, which can mitigate storm surge. In a milieu where there does not exist the robust political will to address these increasingly critical issues facing Florida’s coastal cities, as well as other coastal cities within North America and the world, it is the charge of designers, trained in stewardship, who must be tactical in their design gestures and strategies, with an overarching agenda for the greater public realm. Epilogue-DIY (Do it Yourself) (re) stitch Tampa There were a number of significant public space projects which were actually implemented shortly after the (Re) Stitch Tampa awards ceremony on April 12, 2012. The city received a significant TIGER (Transportation Investment Generating Economic Recovery) federal grant, which in part was used to finish the remaining segment of the Tampa Riverwalk, which has recently just opened. Additionally, a green pedestrian right of way is being implemented along the right of way under the Crosstown Expressway. The abandoned Waterworks Park industrial building on the northern anchor parcel of the Riverwalk was adaptively reused as a restaurant, and the natural spring there as well as a city park. Ulele Spring was recovered and connected to the River, in addition to undergoing a significant shore-softening strategy and habitat restoration. Its warmer water temperatures serve as a destination for the manatee, which swim up the Hillsborough River from the Tampa Bay Estuary into the downtown core. Perhaps most inspiring is The Tampa Green Artery project, a grassroots, bottom-up organization with a mission to complete a 22-mile planned, perimeter trail throughout Tampa. Through the aggregation of vacancies and other opportunities, this dedicated group continues to connect the neighborhoods of Tampa and various public spaces with off-water and close to water trails. This is an excerpt from (Re)Stitch Tampa. Riverfront-Designing the Post-War Coastal American City with Ecologies, 2017. For further information, visit [re]stitchtampa.org. This article originally appeared as Tampa as the Ecological City. Living with and Inhabiting the Estuary and the Swamp in urbanNext. You can find additional Honorable Mentions and Selected Proposals there. Gary R. Mormino, “WPA in Florida”, FORUM (The Magazine of the Florida Humanities Council), Issue 25-Nov./Dec. 2005. Empirical observation of the author. “Manuel Leto, Cigar City Magazine. New York City architects who build or repair city-owned buildings must design with climate change in mind, per emerging guidelines. The Mayor’s Office of Recovery and Resiliency last week issued preliminary design guidelines that ask architects and engineers to factor climbing average temperatures, cloud bursts, and—crucial for a coastal city—sea level rise projections into their designs. It used to be that AEC professionals would consult National Oceanic and Atmospheric Administration (NOAA) weather data when submitting plans for public projects to the city. Now, WNYC reports that the industry will consult New York City Panel on Climate Change’s projections, the same ones that shape the city's resiliency planning. The guidelines will be tested this year, and a final report will be released in December. After that, the city will decide whether to adopt the new guidelines or continue making additional changes. Yesterday, New York City Mayor Bill de Blasio appointed Jainey Bavishi as Director of the Office of Recovery and Resiliency. Bavishi will helm the city's OneNYC program, begun in April 2015, which aims to promote equitable growth and climate change resiliency. Key objectives include reducing 80 percent of the city's greenhouse gas emissions by 2050 and preparing the Big Apple for rising sea levels. “Our goals to ensure our city is prepared for the impacts of climate change are ambitious. To help keep us on the path of protecting our residents and demonstrating leadership and collaboration in adapting to these threats, I am so pleased to have Jainey Bavishi join our team of extremely talented climate experts,” said Mayor Bill de Blasio in a press release. Previously, Bavishi was the associate director for Climate Preparedness at the White House Council on Environmental Quality, where she had a major role in implementing the President Obama's Climate Action Plan. “With the addition of Jainey Bavishi to our team, the City will expand its global leadership on climate adaptation and resiliency. I’m thrilled to have Jainey join the team as we raise the bar and achieve our ambitious climate commitments,” added Daniel Zarrilli, senior director for Climate Policy and Programs and chief resilience officer for the Office of the Mayor Zarrilli will continue in his role leading the City’s integrated climate team and overseeing the work of the Office of Recovery and Resiliency, the Office of Sustainability, the Office of Environmental Coordination, and the coordination of the OneNYC program. 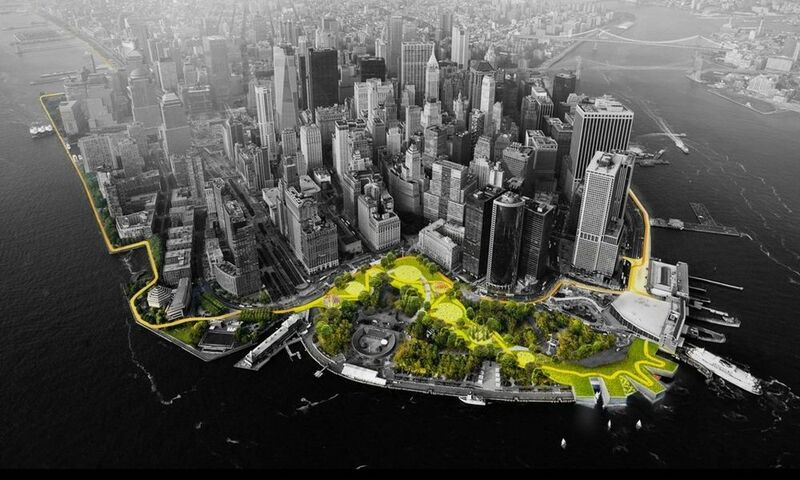 For our most recent update on Manhattan's "Big U" coastal resiliency project, see here. Walter Meyer and Jennifer Bolstad, founders of and partners in Local Office Landscape and Urban Design (LOLA), are earning a reputation for their innovative resiliency projects at the edges of civilization—coastlines and islands. With a multipronged approach that they describe as part architecture, part environmental remediation, and part community organization, Meyer and Bolstad are battling the effects of environmental change on cities and their populations. 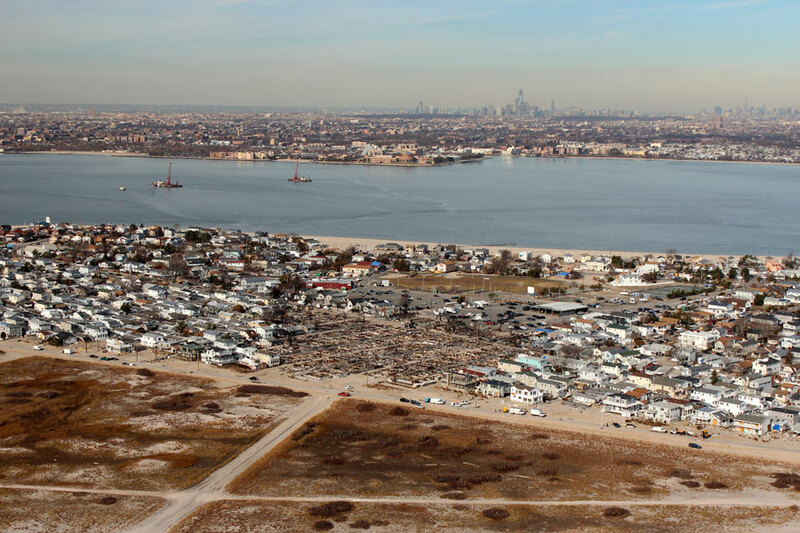 Managing editor Olivia Martin talked with them about LOLA’s approach to resiliency and future-proofing the planet—from working on post-Hurricane Sandy conditions in the Rockaways to remediating coastal areas of Florida. The Architect’s Newspaper (AN): You say that resiliency is the new sustainability. Why? Walter Meyer: It’s a new buzzword, so people confuse it and interchange it with sustainability as though they are the same thing. But sustainability is a derivative of Frederic Clements’s climax theory, in which a field, for example, will change each decade, from soil to weeds to shrubs to trees and then climax as a hardwood forest—this is a snapshot of nature in 3-D.
What emerged after World War II was a new theory of the natural cycles of time. Rather than seeking an equilibrium theory of nature, there is a disequilibrium, where nature is trying to balance itself and adapt to change. Those who can anticipate and respond to change quicker are the ones who have the upper hand. The big difference is that resiliency is dynamic and changing, while sustainability is static. In terms of scale, sustainability is holistic and more big-picture, and resiliency is more local. So I think of sustainability as an old model but still an important tool. AN: Do you have examples of where sustainability failed us and why it should no longer be considered the gold standard, so to speak? Jennifer Bolstad: Well, a few years ago, I consulted on One World Trade Center, which is a very sustainable building [LEED Gold]. But when the mechanical system drowned in Hurricane Sandy and couldn’t be used anymore, the firm in charge ultimately decided it was cheaper to abandon it and leave several floors uninhabited rather than fix it. Meyer: Also during Hurricane Sandy, all of the buildings that ran on photovoltaics failed because the city grid was down. So, literally, every single building with solar was down. This is because there is a law that if the grid goes down, you can’t back charge the line with your solar panels, because you’ll zap the workers trying to fix the grid. Since then, they invented a hybrid inverter that “islands” the building into a microgrid, so it can function independently off of the grid. There needs to be a dynamic relationship with nature, and we should be creating multilayered systems. AN: You have a lot of work in Florida right now that deals with water management. How does resiliency factor into those projects? Meyer: All of the articles written about Miami focus on the ocean and city. It’s all about the ocean—and that makes for good headlines. But what’s missed is that Miami’s most vulnerable areas are in the Everglades, on the west side of the city, because they have freshwater, five feet higher than the ocean, that can’t become diluted with salt water or else Miami loses its water source. The area near Everglades National Park is particularly at risk because the main flow of the water runs north–south, down from Lake Okeechobee to Florida Bay, and a secondary flow of water runs east–west—like a spine and ribs. Originally, the secondary water flow moved through transverse glades and occasionally wet bogs and sloughs. Since the channels weren’t actual rivers, the city filled them in, and now, when it rains, the houses on those streets along these former sloughs flood. The homes are considered Repetitive Loss properties and the owners cannot collect insurance for the damage anymore. The buildings’ foundations are cracking, due to the water infiltrating the alkaline bedrock, literally melting it. We are trying to open up more options to the people who are stuck in these houses but don’t want to leave their community. Normally, there is a lot of discussion about design activists, but we are more like community organizers—we want to engage the residents themselves. It’s a lot of listening and then designing and showing them what legal options are available, or creating new ones. One option is a CLT, a community land trust—where everyone buys into this idea, and you work with a public–private partnership, such as a developer and the county. For this neighborhood, it’s about creating high density along the edge of the vulnerable corridor, along the slough of the transverse glades, and doing this three blocks at a time. If you can organize just three blocks—the center of the slough, a transitional, and a bank—then this creates a housing swap, where the residents can continue their normal lives and not have their schedules disrupted. So, for example, you can move out of the home into a temporary housing unit; then the home will be demolished and turned into a flood storage park, and you will have the option of moving or the right of first refusal to a new high-density, 40-percent affordable housing unit nearby. This makes more sense than simply moving everyone to higher ground because, then, those who are already at higher ground could be dislocated due to rising real estate costs—already Florida developers are looking at luxury housing inland—and this creates new levels of climate refugees. AN: So, resiliency aside, is relocating more responsible than fixing? Meyer: Well, that is what leads to climate gentrification; the issue of scale is a major one. If you take a holistic approach and just get everyone out of harm’s way, then you aren’t paying attention to the social fabric. For example, Staten Island was a state buyout project; the government essentially said, “We’ll buy your house, and you can take the money and run.” The problem with that is then the people basically had to move out to Newark because the buyout price point doesn’t acknowledge the gentrification, and $200,000 or $300,000 won’t get you another house in the city. 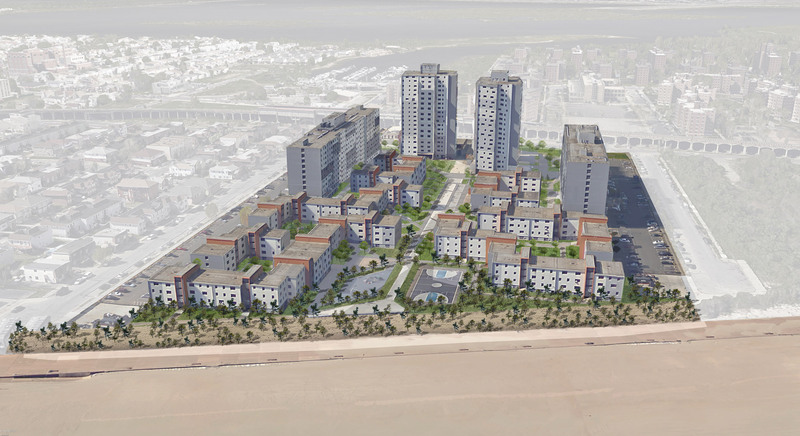 In the Edgemere Urban Renewal Area, in Rockaway, the Department of Housing Preservation and Development and the Office of Recovery and Resiliency offered more options than just a buyout—such as housing swaps and other solutions at the neighborhood scale. Bolstad: We focus on the built environment in a way that looks at how cultural issues touch the ecological issues. In the Florida project, people very much want out of their houses that are constantly flooding, but they still want to stay within a five-mile radius so they can be near family and keep their routines. It’s not a one-size-fits-all approach, even if you believe in a long-term retreat from those areas. Otherwise, you end up with people who are not there by choice, like when Robert Moses dislocated people in the Bronx in the 1960s and moved them out to the beach. Economically vulnerable populations ended up in environmentally vulnerable areas. And it’s not just the built environment. Even if we aren’t preserving the area for housing in the long term, then the environmental situation needs to remain. That barrier [the Rockaway peninsula] is the first line of defense in the city and Lower Manhattan, and, without active management of the environment of that place, it risks the rest of New York City. Meyer: I like to quote my mentor and city planner Ronald Shiffman when we talk about these issues: “These disturbances don’t discriminate, but our reaction to them can.” We want to make the most just city we can. For more on LOLA's projects, see their website. The Riverside Galleria, a retail complex penned to sit alongside Arthur Kill Road in Staten Island, has been given a traffic plan that developers say will prevent backups and delays. Boasting a waterfront promenade, numerous green roofs, a multiplex cinema, restaurants, and cafes with outdoor terraces and retail outlets, the Riverside Galleria has been designed by Manhattan-based firm, STUDIO V Architecture, backed by developer Melohn Properties Inc. The complex will occupy 457,000 square feet on 21 acres by the bank of the Arthur Kill straight between Staten Island and New Jersey, lying just below the Outerbridge Crossing. Traffic plans, now submitted with the project, propose three new roads to ease congestion. "We only have 600-feet of frontage on Arthur Kill Road. The solution we have come up with, which we think will pull any type of traffic congestion off Arthur Kill Road, is to create a (network) of new streets that are connecting the two edges of our property where they touch Arthur Kill Road," said the lead architect of the project, Nathaniel Zuelzke of STUDIO V Architecture. https://www.youtube.com/watch?v=tleRCuj3h3U "We have about 2,330 odd linear feet of new road that form a U-shape, and our project will front primarily onto these new roads, as well as a small section of Arthur Kill Road where we are keeping the Cole House," he continued, adding that he plans for 300-foot-long lanes to be used for turning into the proposed road network. "This will ensure there is no traffic backup on Arthur Kill Road, and will allow the existing two lanes to continue moving smoothly," Zuelzke added. Aside from easing traffic, parking is also on the agenda, with parking for more than 1,700 vehicles currently being planned. James Prendamano, managing director of Casandra Properties who are the schemes leasing agents said, "STUDIO V has essentially built a park within the parking garage. They cut out retail above it and will have trees and greenery that will grow up from underneath in the parking through the first level of retail up into the center court," said James Prendamano, managing director of Casandra Properties, leasing agents for the project. Resiliency too has been factored into the design, especially with the center court area. "The Center Court will span from the lowest parking level to the street level to the upper level," said Zuelzke. 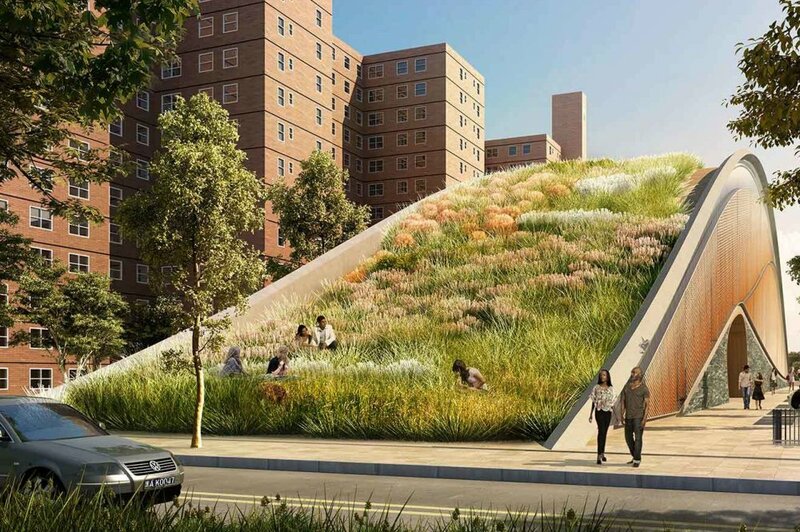 "It will be landscaped and will be part of the site's storm water strategy, helping collect water and heavy rains, and bring that back to the landscape in a very controlled manner." 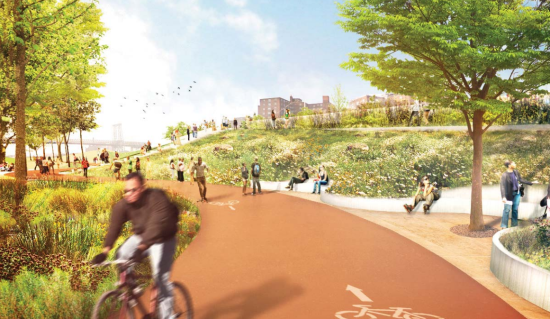 Additionally, ten acres of wetland area will be preserved to act as a natural barrier, while esplanades will join observation areas where the public can look over the wetlands. "I think the waterfront aspect is one of the most exciting aspects of the project. We also have an area we are calling the beach where you can really get down to the water itself, and we have an overlook deck with a view to the Outerbridge,said Zuelzke. The wetlands won't be the only space protected by the project either. The 19th-century Cole House in the vicinity is not landmarked, but STUDIO V has drafted plans presented to locals of the house serving as a meeting place, welcoming area or restaurant. So far plans are still awaiting approval, however, Leo Chung of STUDIO V anticipates ground to break next year with the project being complete around 2019. "We are seeking some waivers under the current zoning district (a manufacturing zone). More than 100,000 square feet of the retail isn't allowed, and we are asking for a waiver for that," said Chung.